Rest assured that when you buy CE through Western Schools, you are guaranteed the best nursing education available. Nursing boards in all states requiring continuing education (CE) accept courses offered by ANCC accredited providers. California Board of Registered Nursing (provider # CEP 17115, effective 2/4/19 to 2/28/21). District of Columbia Board of Nursing (provider #50-2165). Western Schools submits all continuing education records to CEBROKER after successful course completion. Florida Board of Nursing* - (provider #50-2165). Western Schools submits all continuing education records to CEBROKER after successful course completion. Georgia Board of Nursing - (provider #50-2165). Western Schools submits all continuing education records to CEBROKER after successful course completion. South Carolina Board of Nursing - (provider #50-2165). Western Schools submits all continuing education records to CEBROKER after successful course completion. West Virginia Board of Registered Nurses - (provider #50-2165). Western Schools submits all continuing education records to CEBROKER after successful course completion. It is the responsibility of each professional licensee to understand what his or her state licensing board requires for license renewal, as well as what that licensing board identifies as acceptable continuing education. Please contact your board for verification if you are unsure of your continuing education requirements. California Nursing Home Administrator Program, certain courses approved. (provider #NHAP #CEP1518). 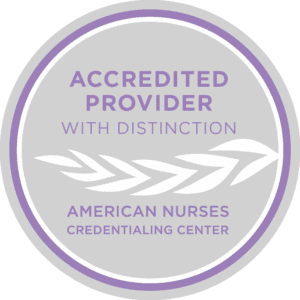 American College of Healthcare Administrators - As an American Nurses Credentialing Center (ANCC) accredited provider, Western Schools courses are accepted by the ACHCA. NOTE: Under the guidelines of the California Board of Nursing Home Administrator Program, a maximum of ten (10) hours of CE credit will be granted per individual home study course regardless of course length. Select courses have been pre-approved by the Commission for Case Manager Certification. Courses are identified with an approval statement in the course description. Western Schools courses are accepted by the American Association of Psychiatric Technicians.